We propose a drawing method to create large-scale pictures in public space. We use a property of anisotropic reflection to show images on the grass field. 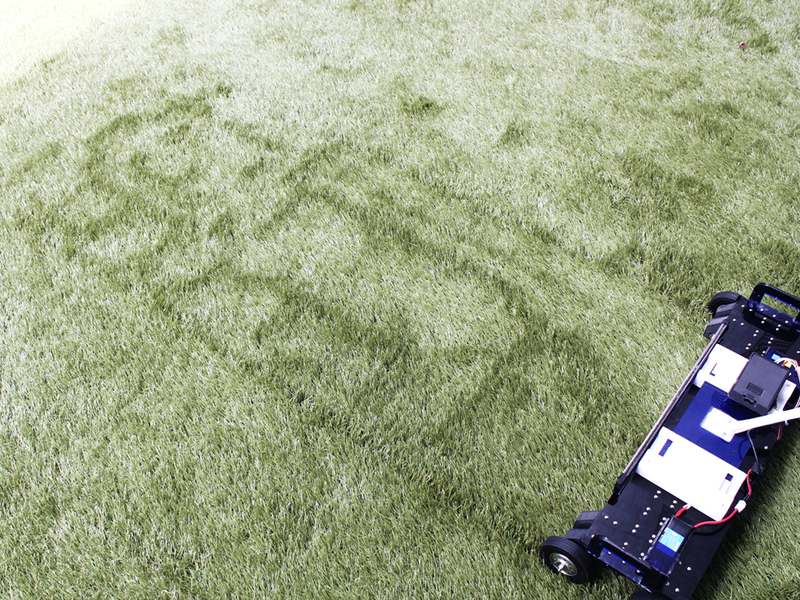 We created a prototype of roller type device which can control the angle of grass. We observed that our system entertains people in public exhibition.